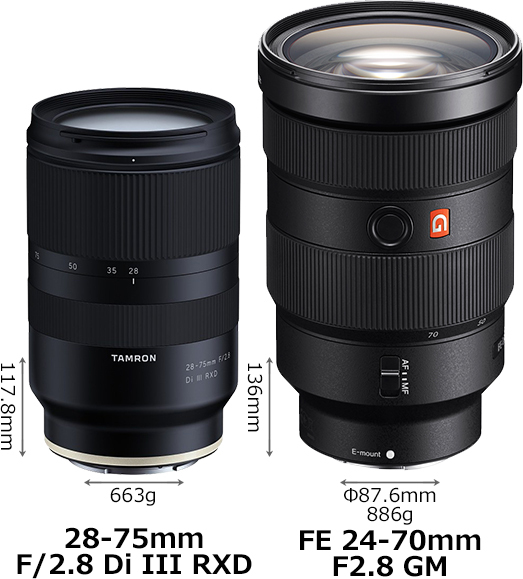 Japanese website Photosku has published a specs and size comparison of new announced Tamron 28-75mm f/2.8 Di III RXD FE lens (B&H Photo) and Sony FE 24-70mm f/2.8 GM lens (B&H Photo). You can see the specs comparison below. You can also take a look interview of Tamron 28-75mm f/2.8 Di III RXD lens.